One of the greatest overlaps between science and science fiction over the past century has been Caltech. Several great SF writers have spent part or all of their academic years there, or have taught there. Two of the earliest ones, though, are often overlooked, and for different reasons. Eric Temple Bell was an established mathematician before he came to Caltech, which he joined after a bidding war between Caltech and Columbia University. 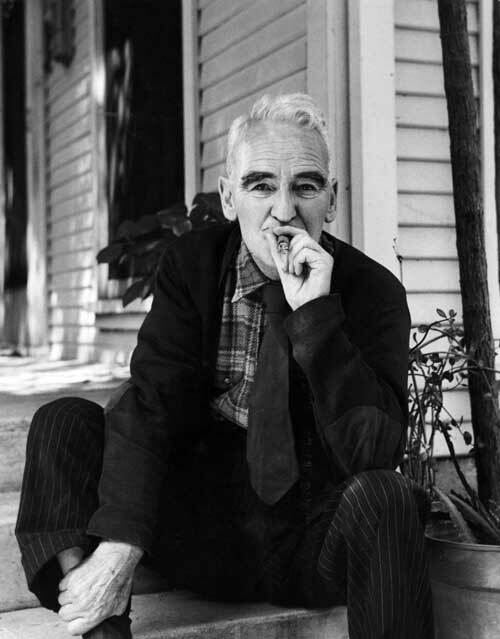 He stayed at Caltech from 1926 until just before his death in 1960. His alter-ego, John Taine, had already published a science fiction novel, a sort of a lost-world adventure novel involving Tibet and atomic power. This novel, The Purple Sapphire, did well enough that he wrote more until the mid-1950s. The answer is that he wrote very quickly. Several of his novels were written over a break between sessions of classes, in as little as two weeks. Yes, a novel in two weeks of writing time. That is remarkable, even by the standards of the 1920s, and truly amazing today. His first six SF books, though, were spread out over seven years because those breaks were apparently the ONLY time he wrote SF. The rest of his time was used to write non-fiction in the field of mathematics. For fun, he also wrote poetry. Sadly, very few copies of his first two volumes are still around because most of them were destroyed years ago. The publisher basically conned him into a bad contract, one in which they had no incentive to promote the books and so they remained unsold. The unfortunate part of that is that he spent the next three decades writing an epic, book-length fantasy poem that is still unpublished. A publisher here in the Los Angeles area was interested in publishing it, but only with Bell as a partner because it was going to be an expensive project. Because of his interactions with the other poetry publisher, Bell decided to forego this experiment. Thus, the huge manuscript remains in the Caltech archives, but it would make a great e-book publication. 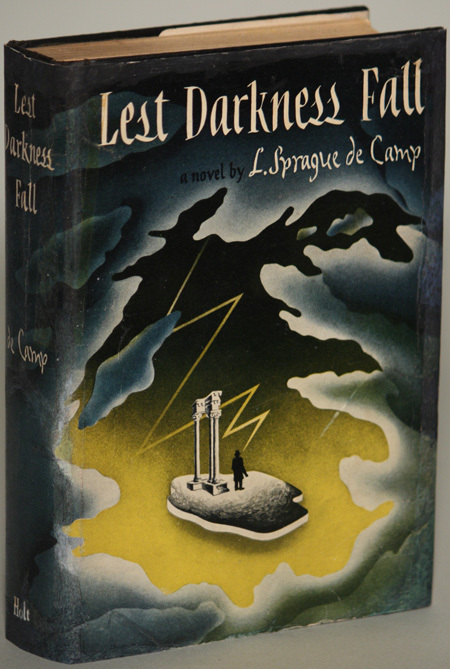 First edition copy of Lest Darkness Fall by L. Sprague de Camp. Around the same time that Bell joined the Caltech faculty, a student came to Caltech who would also make his mark on both science and science fiction. Graduating in 1930, this student set off to make his unusual mark on the world. L. Sprague de Camp, an editor of the California Tech newspaper while in college, received a degree in aeronautical engineering from Caltech, followed by a master’s degree in the same field from another college. De Camp soon worked technical jobs, becoming an expert in patents among other things, but writing was clearly in his blood. He wrote both fiction and non-fiction for the rest of his life, and it was in an article for Astounding Magazine in 1939 that he became the first known published user of the abbreviation “E.T.” for “extra-terrestrial” in referring to the possibility of alien life. He spent World War II doing work for the Navy, and his connections there with Isaac Asimov and Robert Heinlein led him to being fictionalized, at least sort of. He was part of the real-world literary club that Asimov used as the model for his Black Widowers stories. De Camp also wrote Lest Darkness Fall, a novel that has been considered important in the development of the concept of Alternative History as part of the science fiction field. In addition to his many novels and shorter stories, he wrote a number of non-fiction works, often with his wife Catherine, about fields ranging from inventions to myths about geography, from biographies of authors to a discussion of how evolution may have influenced historical trends. He also wrote many novels and a lot of stories co-authored with naval historian Fletcher Pratt, a seemingly odd duo for humorous fantasy, but their work is still considered among the best of its type. L. Sprague de Camp died in 2000, on his late wife’s birthday, at the age of ninety-two. Sadly, his older works go in and out of print now, because many were written for magazines and don’t fit the modern “write really long novels” trends in adult fantasy. Read Caltech Writers: Part II, which was published on June 12, 2018.